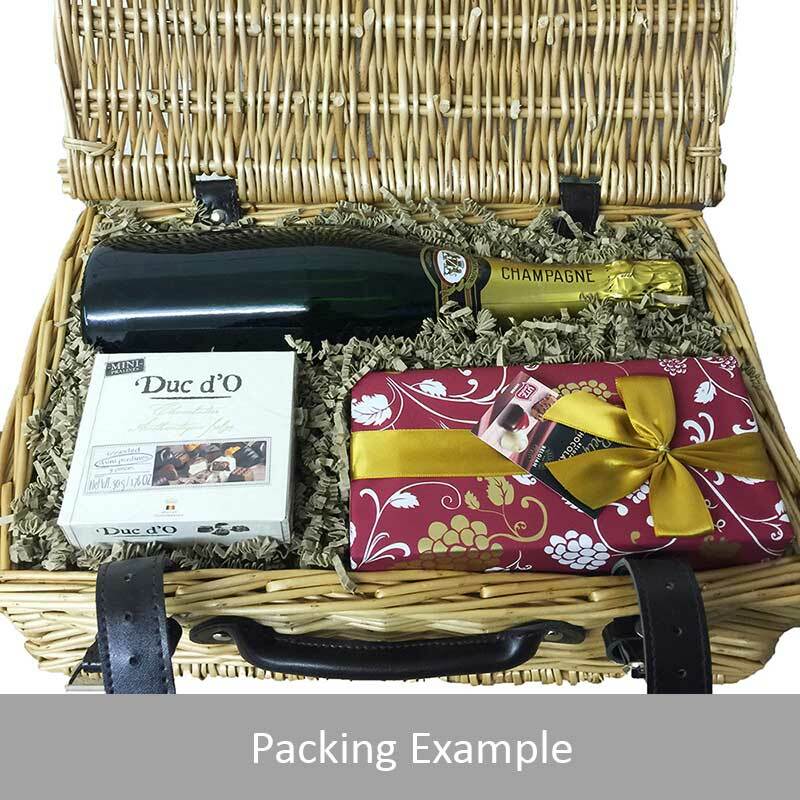 A delightful gift of Baileys Irish Cream along with a box of Hamlet Belgian Chocolate Truffles (35g) and Belgid'Or Fine Belgin Chocolates (175g) all packed in a wicker hamper with leather straps lined with wood wool. All gifts come with a gift card with a message of your choice. 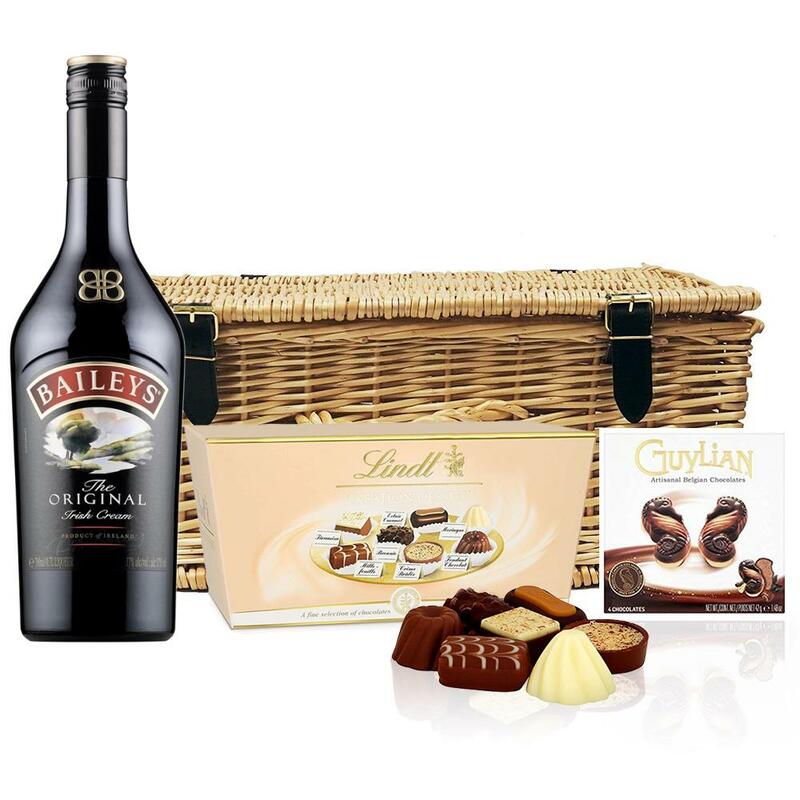 Baileys 70cl Irish Cream Baileys Irish Cream is the originial blend of Irish whiskey and cream flavoured with coffee. Launched in Dublin in 1974 Baileys created a completely new kind of drink the cream liqueur. 2000 glasses of Baileys are now enjoyed every minute of every day around the world and Baileys accounts for more than 50 of spirits exported from Ireland. Not surprisingly it is the the world's best-selling liqueur.